Planning The Perfect Wedding Day Starts With Picking The Perfect Day! Picking the perfect wedding day requires some research and thought. Some things to consider would be, if people are coming from out of town and do they have children. You may not want to plan a wedding during the school year if your guests have children, and in some areas certain seasons might be harder for guests to take time off from work. Another consideration depends on where your planning to host your wedding. Here in Florida hosting a wedding can be an easy year round affair, with the exception of dealing with the summer heat. In New York City, Boston or Northern states you may have to deal with snow and cold. So to start your wedding planning by thinking about where you're going to host your wedding day and the time of year most convenient for not only you, but a majority of your guests you would like to attend. Choosing a date that is a year or more from becoming engaged is typical for most couples although many couples spend several years engaged saving money before selecting their wedding day. What is most important is when you finally decide what time of year and where you'd like to get married that you consider how it will work for yourselves and your guests. Planning your wedding out over a year gives you time to prepare a budget, think about what kind of wedding you want, and where you want to host your wedding. Destination weddings are quite popular with many couples who don't want to plan to much, but want something really nice for their guests to remember, while sometimes saving a significant amount of money. Puerto Rico is one of the most popular locations for Destination weddings for couples living throughout the continental United States. Picking a wedding date that works for you and your fiancé is the most important consideration and most couples pick a date closest to their anniversary date. The other important factor is the climate and weather for the date you decide to make your wedding day. Now you have a wedding day in mind, I alway recommend checking the historical weather for the day your are choosing. It may not matter as much if you're planning an indoor ceremony and reception, but it may be an issue if you're hoping for beautiful outdoor bridal portraits, or even going to an indoor reception from an indoor ceremony or having an outdoor wedding ceremony. Many venues have backup indoor ceremony and reception space, but why risk cramped quarters or less than you wished for or expected on your wedding day. Being able to see what rainfall was on the day you are choosing going back many years will provide you with an idea of how likely the weather will be. There are a variety of tools to look up historical weather data for the areas around the world where you may wish to host your wedding, but I have found https://www.wunderground.com/history/ to be a great resource thats easy to use in planning the perfect day for your wedding. So in conclusion planning the perfect wedding day should include a look at the overall climate and more importantly what the weather in most likely to be on that day. No one can predict with absolute certainty what weather will be a year or more away on a specific date, but using historical weather data, you can have an idea of what the most likely weather scenario might be. I hope this information helps you plan your perfect wedding day. I am a Fort lauderdale based award winning published wedding photographer offering artistic documentary wedding photography worldwide. 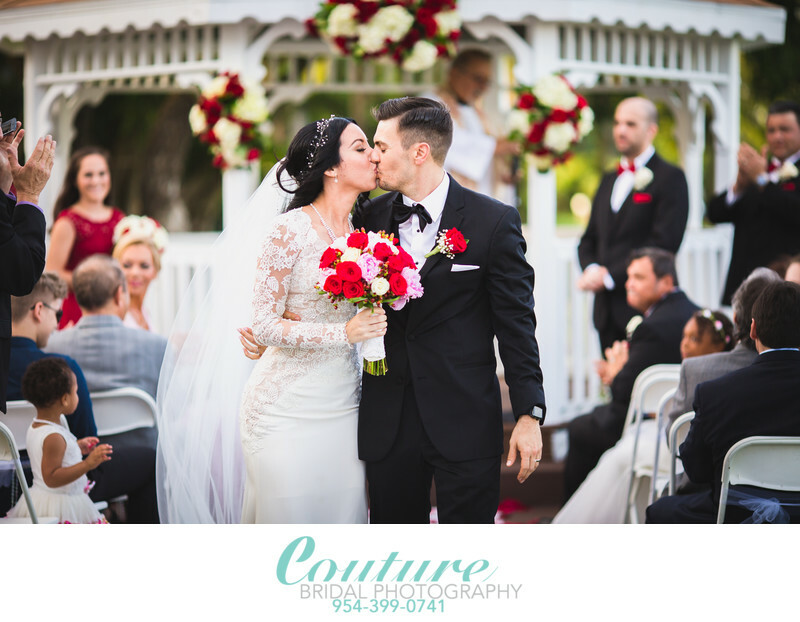 Please call 954-399-0741 or Click Here to contact me about your wedding day Photography!